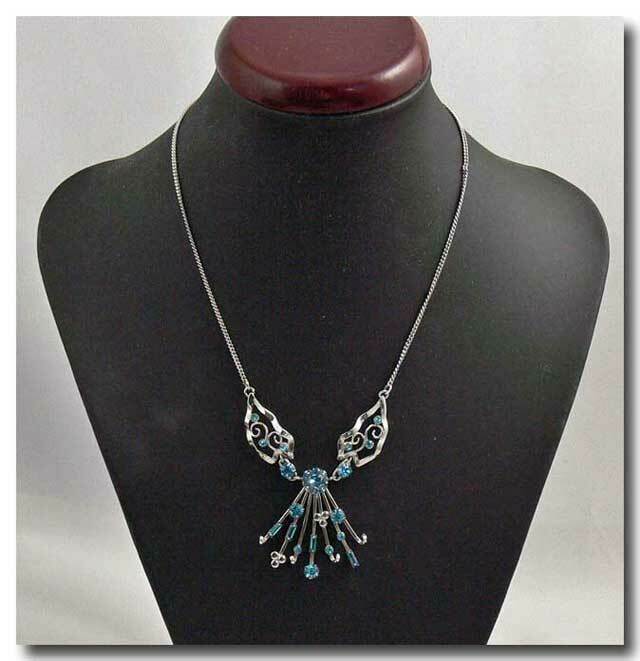 A beautiful vintage sterling silver necklace with blue rhinestones. Signed and in excellent condition. 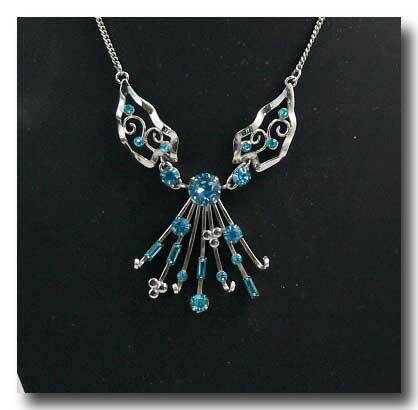 Approx: 6 ½ " L. lower part approx: 2 ½ L.